Propeller Education Kit Labs - PropStick USB Setup. 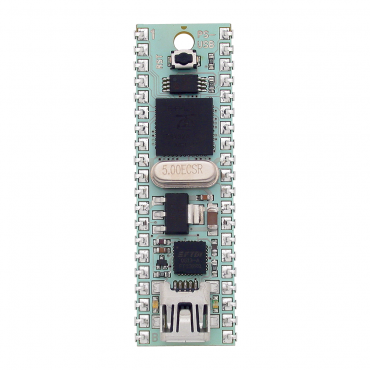 The PropStick USB is a rapid development tool for the powerful 8-cog multiprocessing Propeller microcontroller. The flexibility of a 40-in DIP package is combined with the convenience of an onboard Propeller P8X32A-M44, EEPROM, voltage regulator, removable 5 MHz crystal, reset button, and USB interface. This module is ready for rapid protoyping use in a breadboard, perfboard with wire-wrap, or in a 600 mil 40-pin socket soldered to a PCB. NOTE: The PropStick USB is intended to be used in a breadboard or other through-hole design. 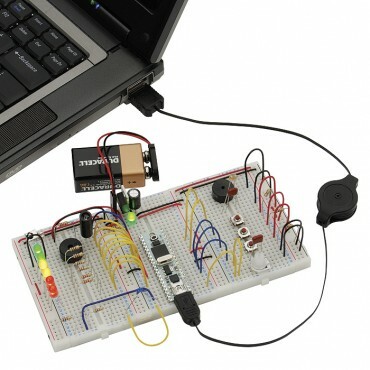 The PropStick USB is included with the breadboard-based Propeller Education Kit - PropStick USB Version. FTDI FT232RG and mini USB connector. USB data transfer indicator LEDs. 5 MHz crystal in a removable socket. 3.3 V, 500 mA voltage regulator. Power requirements: regulated 6 - 9 VDC. 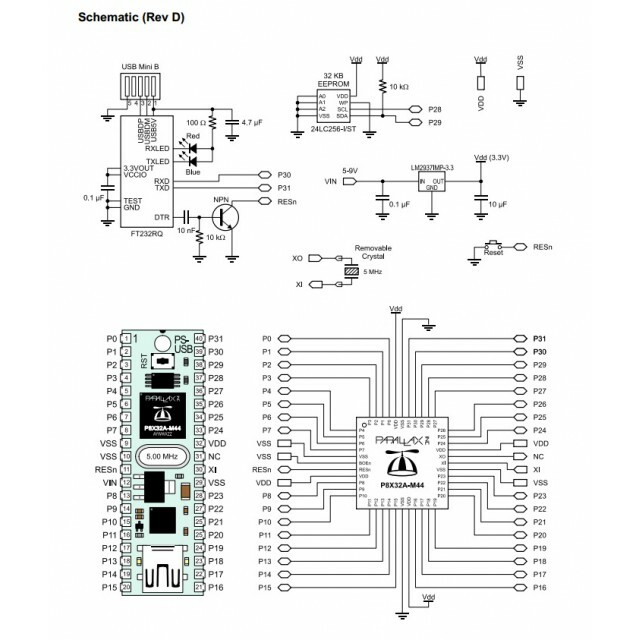 Communication: 232R USB interface to PC for programming and bidirectional communication. Dimensions: 2.0 x 0.6 x 0.45 in (51 x 16 x 12 mm). NOTE: The PropStick USB is not intended to be plugged into 40-pin sockets made for the Parallax BASIC Stamp 2p40, due to differences in programming interface, pinouts, and supply voltages.